Podcasts! They’re the future (of talking things). 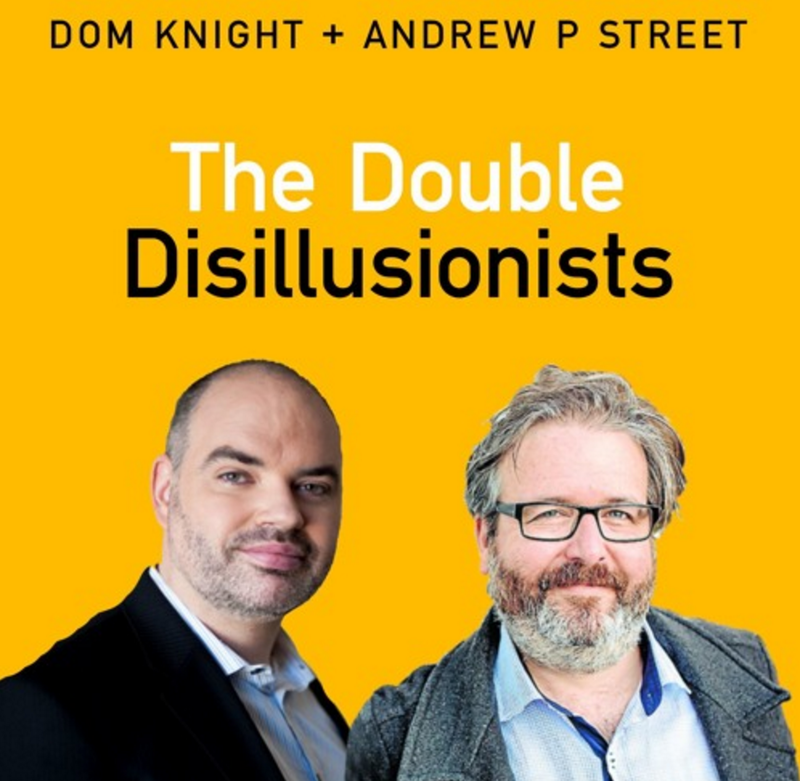 And thus was born The Double Disillusionists, where Dom Knight (broadcaster, author and Chaser alumnus) and Andrew P Street (columnist, politics-snarker, bon vivant) talk about the news of the week with a special, far more articulate and knowledgeable guest. It’s free and entirely subscribable on iTunes, or you can jump onto the episodes on Omny! There’s LOADS of them! And if you’re in Sydney, we do a monthly-ish live event on the first Tuesday of the month: follow our Facebook page for the details.